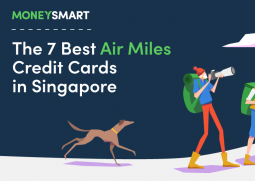 Pokemon Center Jewel Changi Airport - 15 Things Under $15! 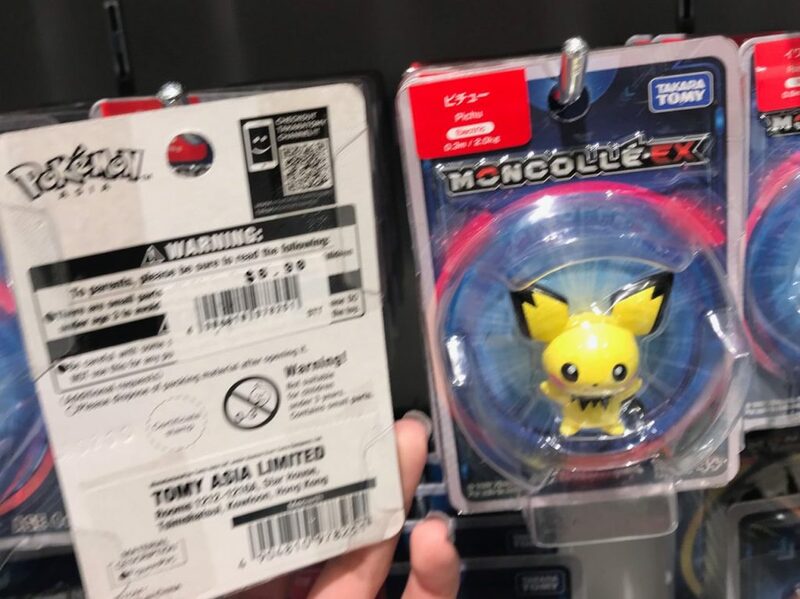 There’s a lot of buzz around the recent opening of the Pokemon Center at Jewel Changi Airport. 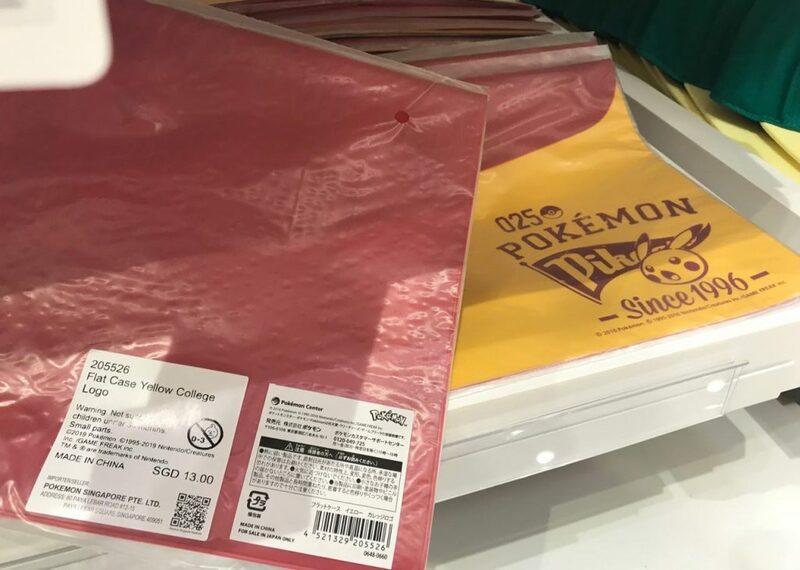 It is, after, the first official Pokemon store outside of Japan. However, as with most official merchandise, prices are not cheap. 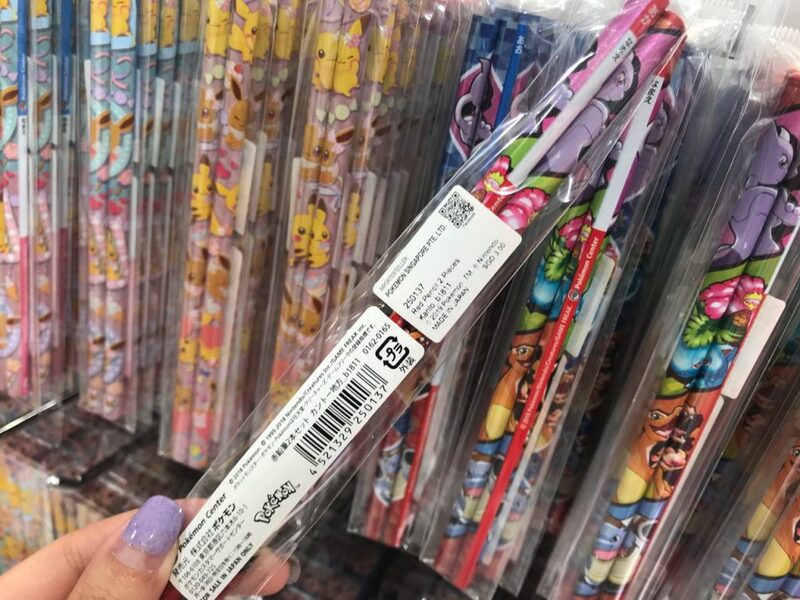 To help fellow Poke fans shop on a budget, here are 15 items under $15. As expected, most of the affordable stuff fall under the stationery category. 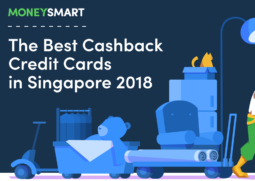 This is perfect if you’re shopping for small gifts or school supplies for your kid. You can get a pack of 2 old-school pencils for $3, and mini notebooks for $4. 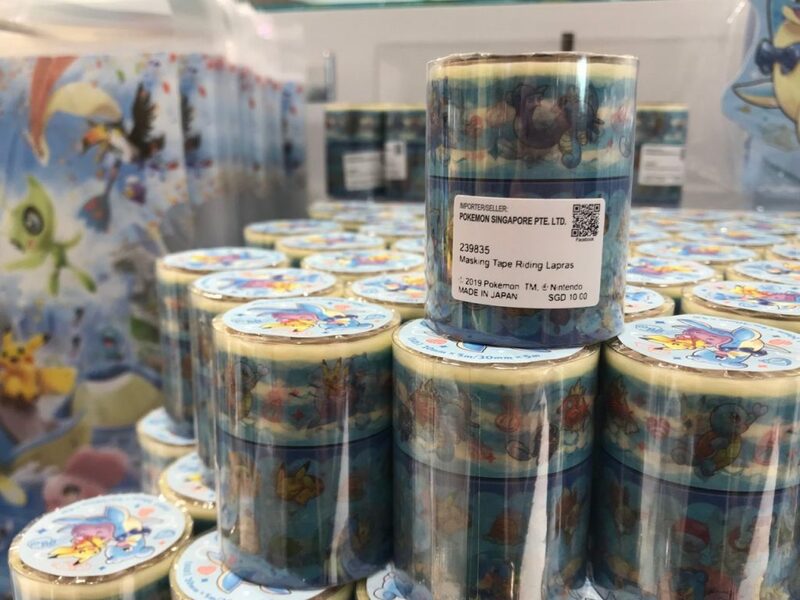 If you’re into scrapbooking, there are some really fancy stickers ($7) and masking tape rolls ($10) too. 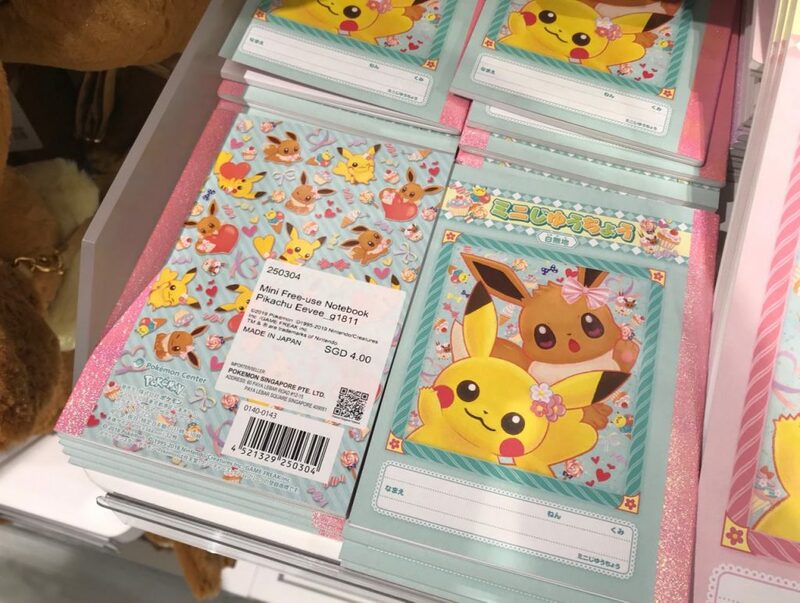 There are memo pads (from $7) and A4 folders ($10) as well, but I find those a tad too expensive for what they are. 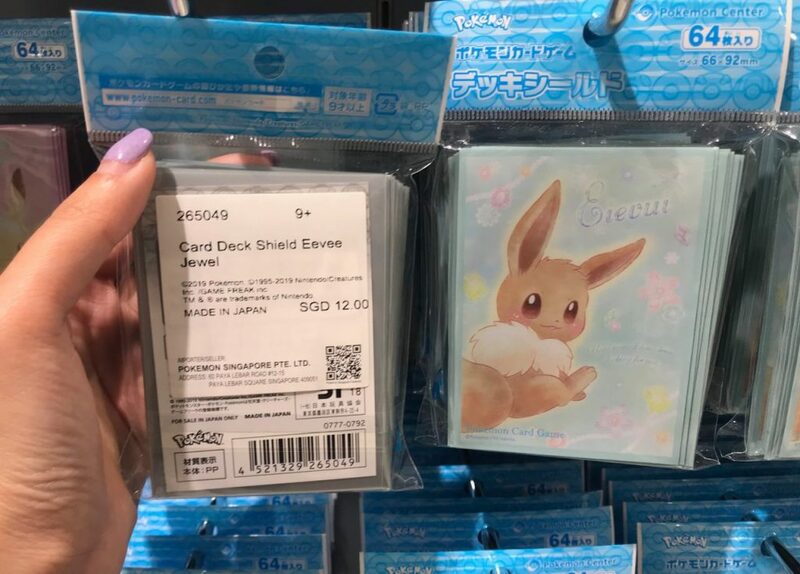 This is for those who play the Pokemon trading card game – these are plastic sleeves to protect your beloved card deck. There are simple designs are $6 / set, but if you prefer the cutesy ones (like the Eevee one pictured), then it’s $12. 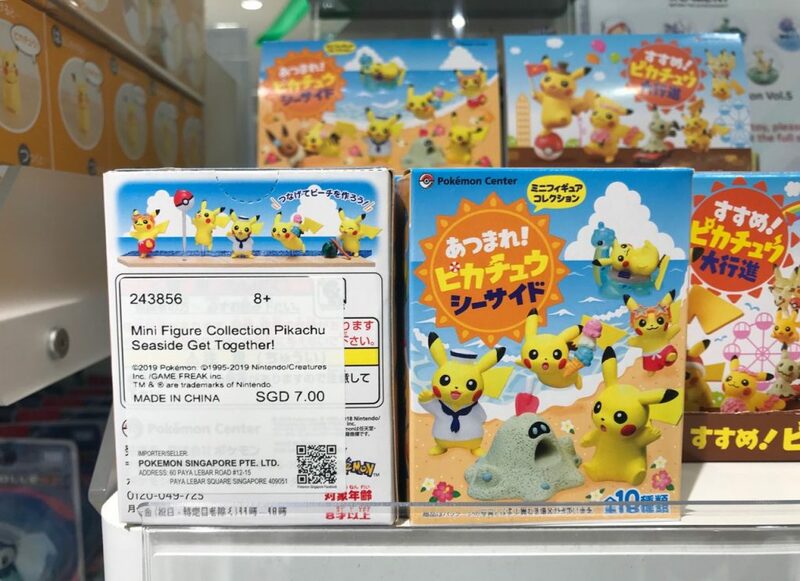 These Takada Tomy figurines may be more expensive in Singapore (the cheapest tier of Pokémon figurines cost $6.90, compared to Japan’s $5.90 / 486 JPY), but they’re still considered cheap – can buy! Japanese figurines are typically quite expensive, so I love that this mini Pikachu figurine set is so affordable at just $7 for 5 pieces. There are several “themes” for the box sets but I found the seaside one the cutest. 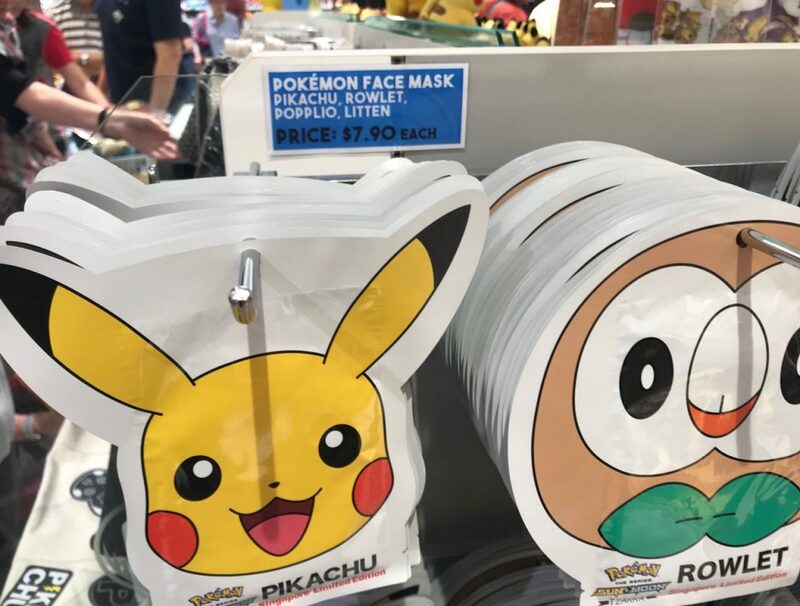 At $7.90, the Pokemon face masks are pretty expensive. I usually steer clear from novelty cosmetics and skincare (because, duh, it’s my face) but this one explicitly states “Singapore Limited Edition”. 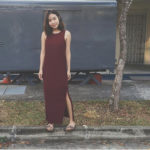 Must buy lah, like that. 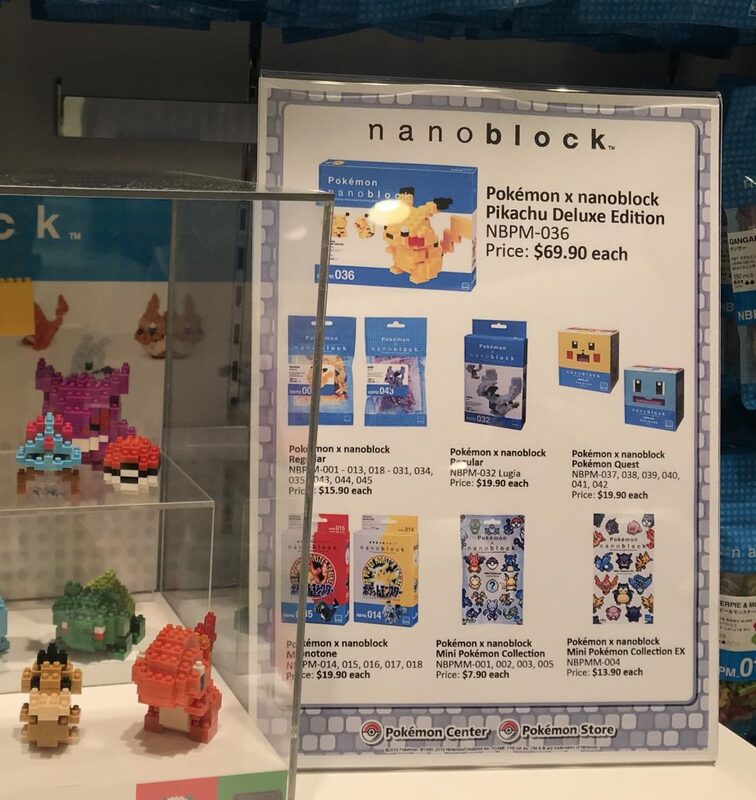 The regular-size nanoblocks are $15.90 to $19.90 so they bust our $15 budget, but the mini ones are affordable. 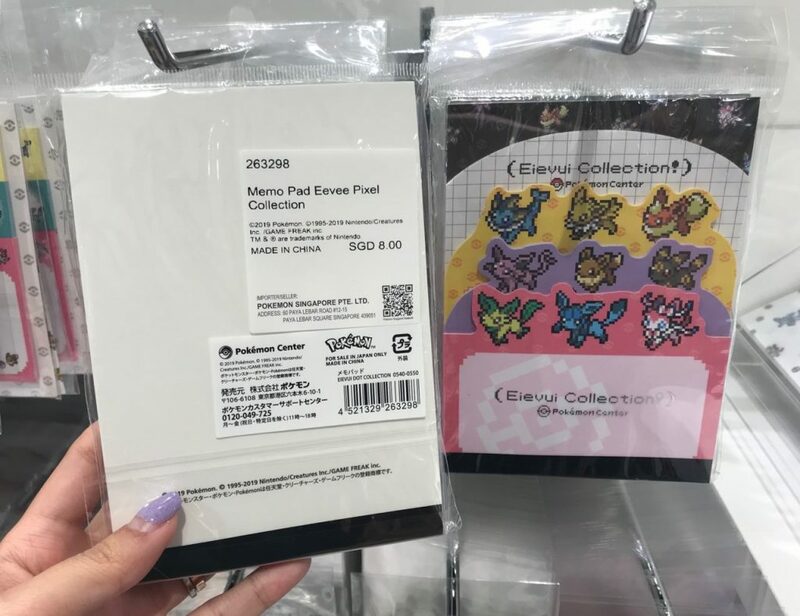 Depending on which Pokemon characters you choose, they’re either $7.90 or $13.90. 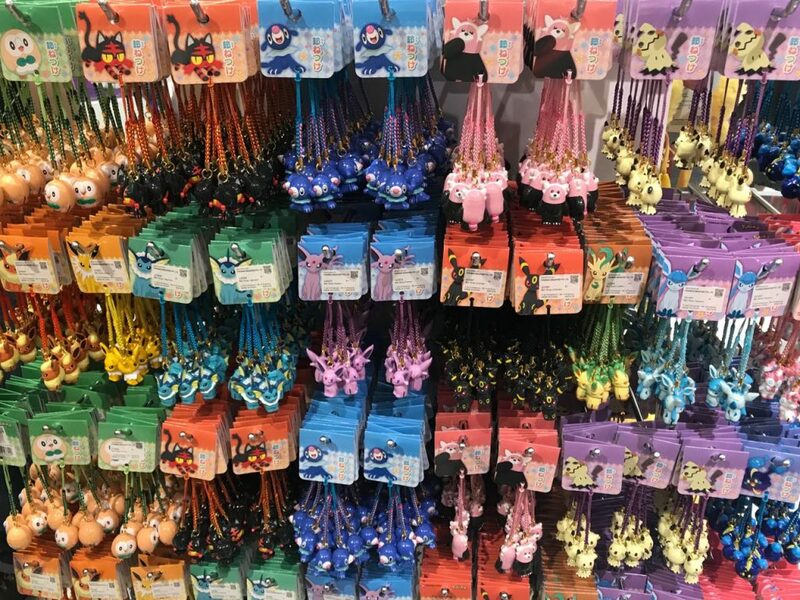 For some reason, these handphone / bag charms were one of the most popular items when I was at the Pokemon store. Everyone was crowding around the rack, picking their favourite Eevee evolution. The charms are $8 each, which is reasonable. 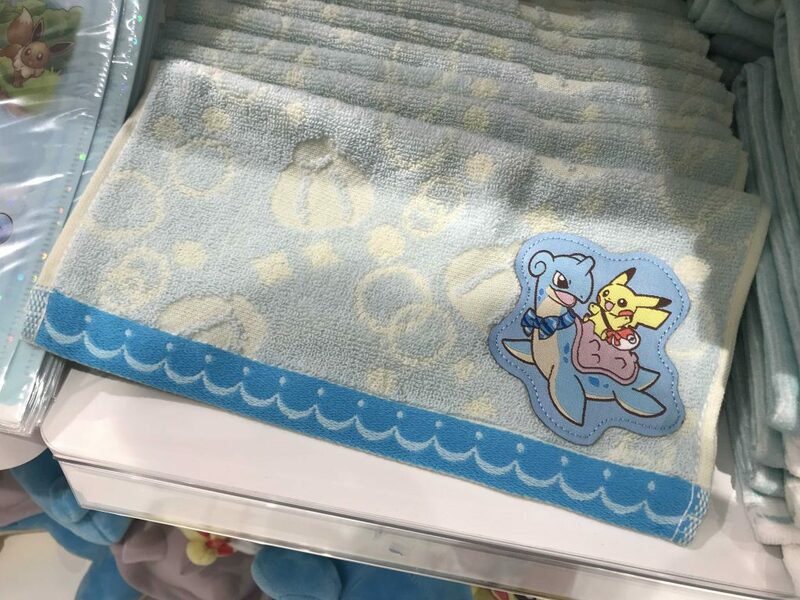 I’m a sucker for cute towels, and if you’re like me, you’ll be glad to know that these super cute Pokemon towels and handkerchieves are well within our tight budget. All hand towels (the smallest size) are $8. 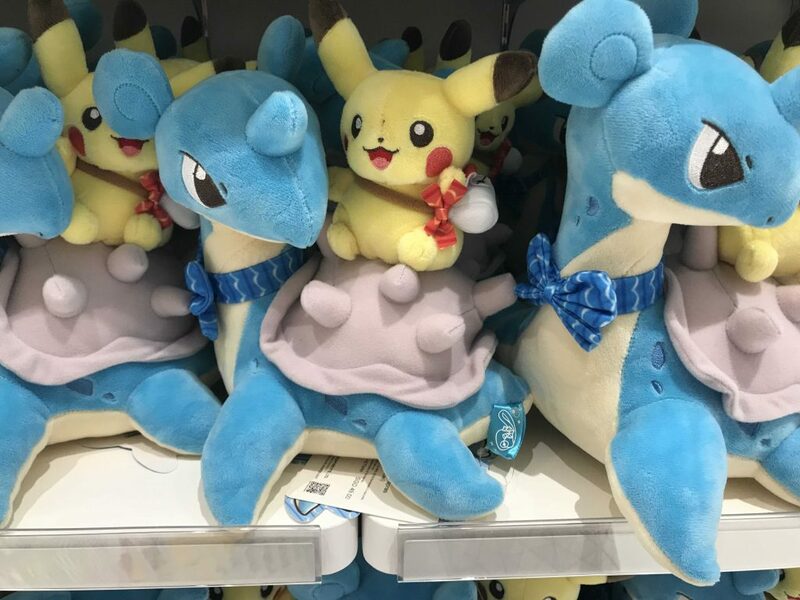 If you want something a little more exclusive and special, get the Pikachu-Lapras one – even though it is a special edition, it is the same price. Sad to say, most of the pouches, pencil cases and mini tote bags are above $15. The one exception is this plastic carry case with a cute college logo design ($13). 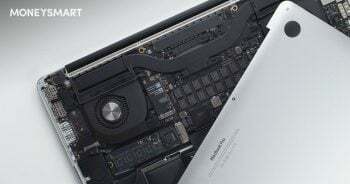 It’s flat though, so you probably won’t be able to carry much in it. Sitting right smacked at the entrance of the Pokemon Center at Jewel Changi Airport is a giant Lapras with a cute Pikachu on its back. 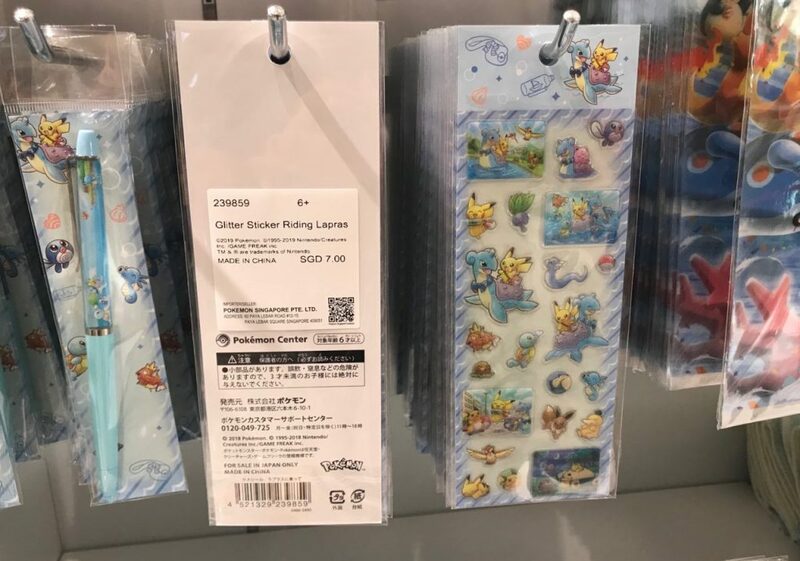 The Pikachu-Lapras range of merchandise was first released in 2018 in Japan, but flew off the shelves. 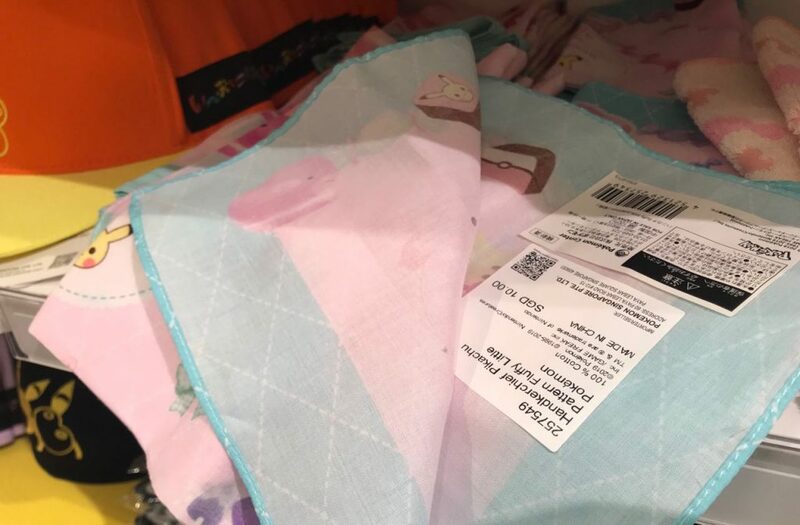 As part of the local store launch, this highly coveted range of merchandise was re-released in Singapore. Just in case you have a bit more cash to spare, here’s a price list of everything in that range. 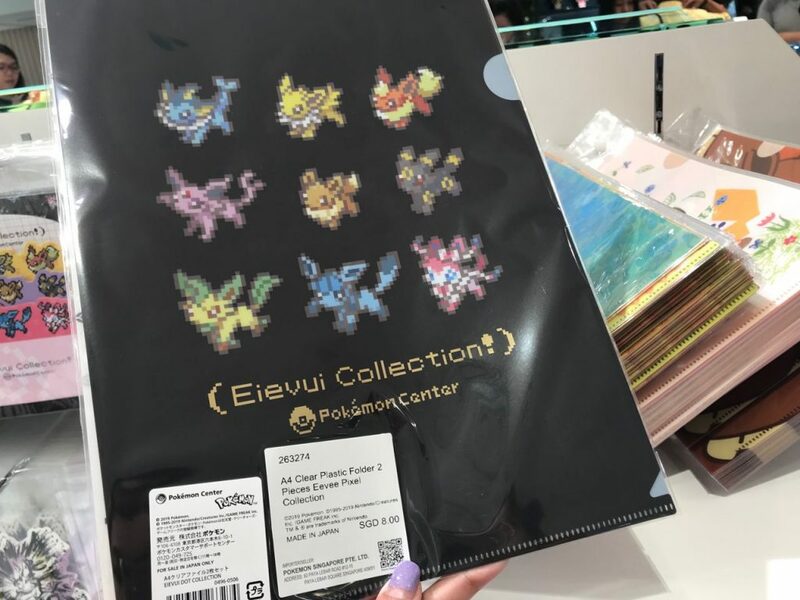 What are your favourite buys from the Pokemon Center at Jewel Changi Airport? Share them with us in the comments below.